We'll Help You Select The Right Engraver For Your Needs! See why so many choose us. Let us prove it – Call or order online today! 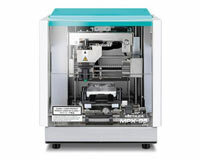 Roland Engraving Machines are an excellent choice for engraving on metal, plastic, wood and more. Roland Impact printers are ideal for printing/imaging on harder materials and are perfect for kiosk locations, custom gift business, jewerly markets & industrial marking applications. Roland Engravers & Impact Printers are dependable, reliable and easy to use. Gravograph is the world’s largest manufacturer of engraving machines and marking equipment, Gravograph offers a wide range of products to meet your needs. We are committed to help you select the equipment that you need for today to help your business grow into tomorrow. The Engraving Applications Chart is a helpful tool to help you determine which machine can help with your current application need. Click on the logos above to see all products for each brand! 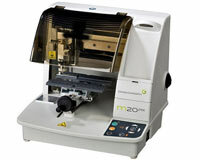 See menu on right to shop by type, brand, engraver machine accessories and supplies. Please note: Roland supports 32 & 64 bit operating systems on all engravers and impact printers. *Each Roland Care Extended Coverage gives you an additional year of warranty, covering parts and labor for repairs. It also covers one way ground shipping of product back to customer.